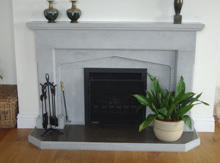 Our online stonemasonry shop is the place to find any limestone, marble or slate product. For the home, the garden or for full scale build projects of any size, if it can be made of stone Anglesey Masonry can supply it! We sell to trade and public alike and we can deliver to anywhere within mainland UK. 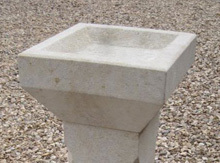 Anglesey Masonry provide a broad range of stone products for the garden and outdoors - from limestone furniture to planters, ornaments and water features. If you are looking for something special for your garden you'll find it here. From stone flooring and stairs to fireplaces and hearths, our bespoke range of home stone products will really give your home a unique look and feel. 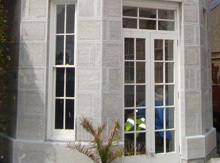 As one of the area's leading stone supplier to the building trade we have an extensive range of stone products that can be supplied for any building project of any size.